WEDNESDAY, Jan. 11, 2017 (HealthDay News) -- Sneezing is your body's way of getting rid of nasal invaders like pollen, pet hair or viruses. 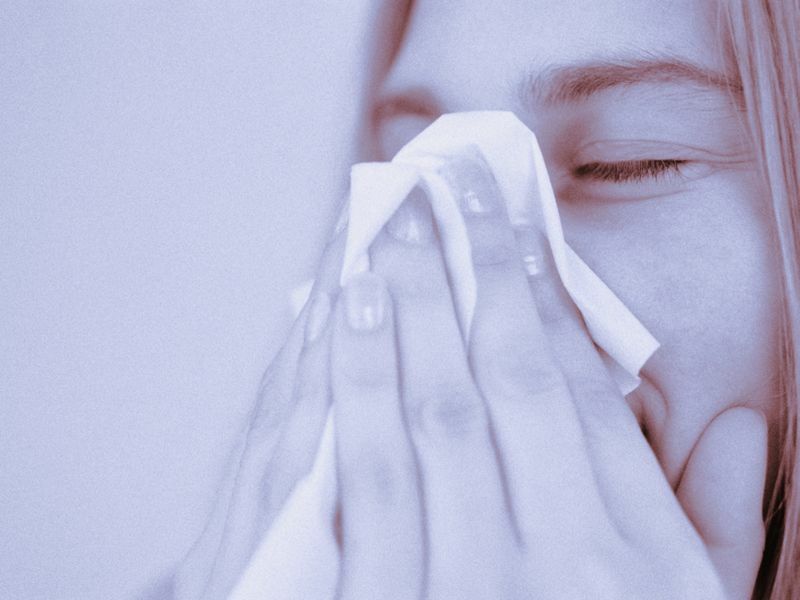 But while sneezes may be good for you, they can spread germs to others. Look at the big picture. Be aware that the germs in a sneeze can travel far, potentially more than 10 feet, to land on surfaces where they can live for weeks. Antibacterial wipes can help reduce the risk that you'll touch germs when you make your way around the world each day. Hand hygiene helps. If you cover your sneeze with your hands, make sure to wash them afterward using soap and warm water for at least 30 seconds. Hand sanitizer isn't enough on its own. Otherwise, the germs may take up residence in your hands and spread to other people through handshaking, doorknobs and anything else you touch. Count on your sleeve. Consider covering your nose and mouth with your upper arm, vampire-style, when you feel a sneeze coming on, because it may reduce the risk that you'll spread germs. Use a tissue. It's a good idea to keep a box handy. Just make sure to throw used tissues away and wash your hands afterward.